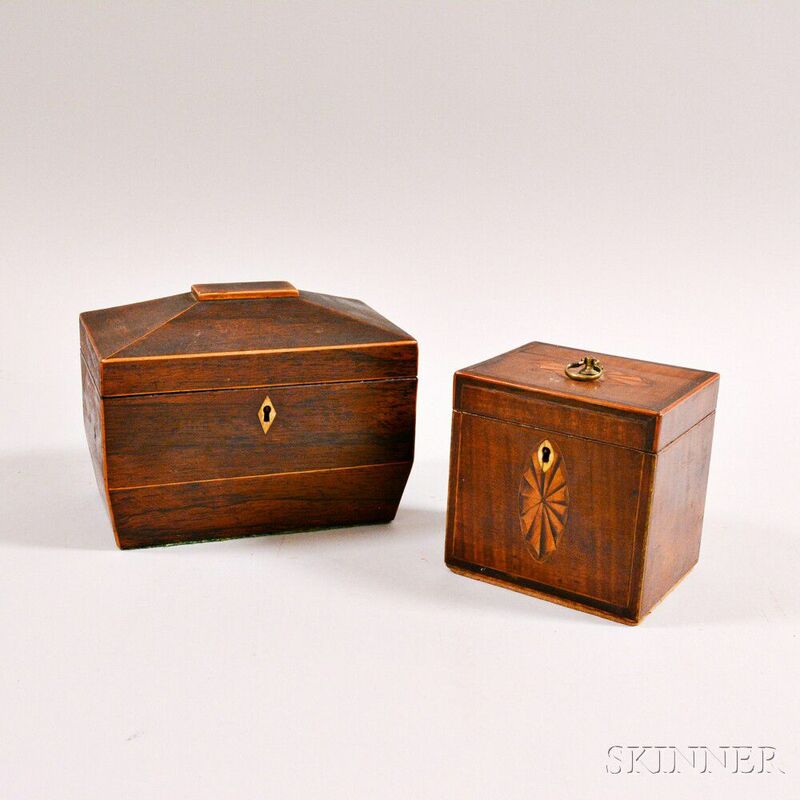 Two Georgian Inlaid Tea Caddies, England, early 19th century, a rosewood pagoda-form and a rectangular walnut with inlaid paterae, ht. to 5 3/4, wd. to 7 1/2, dp. to 4 1/2 in.